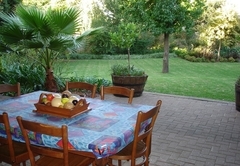 De Witt'e Guest House is one of the highly recommended Bloemfontein guest houses and provides accommodation in 3 guest rooms for tourists visiting the Motheo Region. 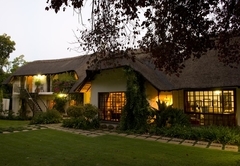 This stately, thatched guest house is situated in a quiet area in the Northern part of Bloemfontein in the Free State. 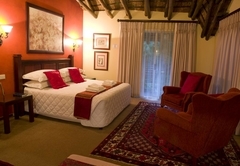 The atmosphere is warm, intimate and cosy. 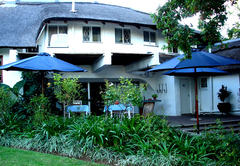 De Witt'e Guest House offers tranquil, quality accommodation for both the business executive and tourist with its stylish rooms, safe shaded parking with electric gate, a swimming pool for those hot summer days and, for special occasions, a spot outside that was specifically designed for a campfire-like atmosphere. 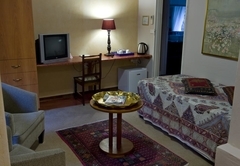 Rooms are uniquely themed and individually decorated. 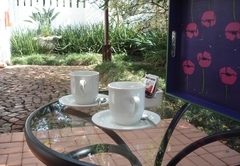 Each room has a TV with DSTV, tea and coffee facilities, a work station, a hairdryer and its own garden area or balcony. 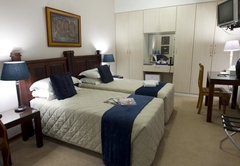 Rooms also have an information guide containing detailed information pertaining to restaurants, hospitals or entertainment in the vicinity of the guest house. 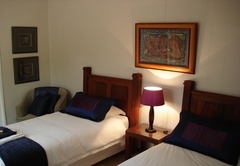 There is one executive / bridal room and three standard rooms with either single or double beds. 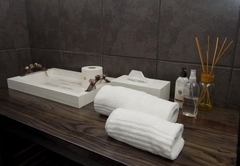 All our rooms have ensuite bathrooms. 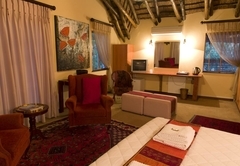 Each room has a TV with DStv, tea and coffee facilities, a work station, a hairdryer and its own garden area or balcony. 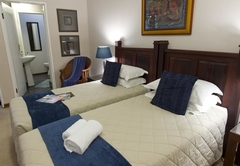 There are reception facilities for 40 people which is absolutely ideal for intimate weddings, birthday parties or wedding anniversary celebrations. 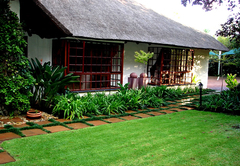 De Witt'e Guest House also offers a small conference facility for 20 delegates. 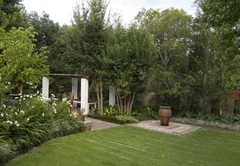 Upon arrival you are greeted by a beautiful, big garden where birds play. 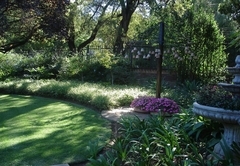 Guests are welcome to enjoy a sun downer next to the pool or take some time out in the spacious well kept garden. 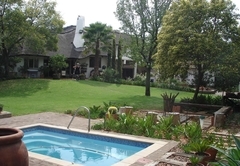 The swimming pool is secluded in the back garden, ensuring privacy. 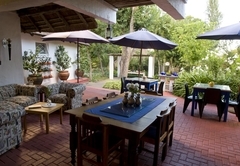 Guests can also relax in the spacious, stylishly furnished lounge which has a view of the front garden. 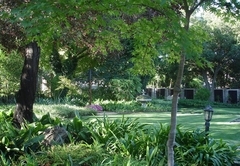 Breakfast is served in the dining room, where guests can enjoy the view of the swimming pool and terrace. 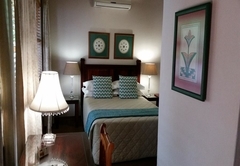 De Witt’e Guest house is situated about 1 km from North Ridge Mall with movies, restaurants and a gymnasium and 1 km from Bays Village with a supermarket, restaurants and a fuel station. 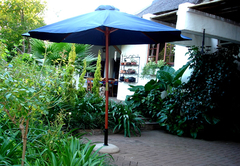 Due to our close proximity to Bloemfontein International Airport, we offer guests a shuttle service to and from the airport at a reasonable rate. 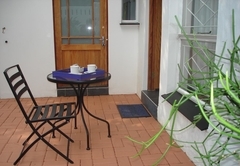 The guesthouse is also within 10 minutes drive from Vodacom Park Stadium and Medi Clinic Hospital. 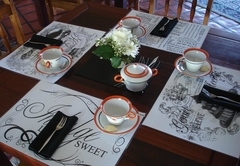 Guests can look forward to a warm, hospitable reception and outstanding service from your hosts, Jan and Erika, whom - with their hearty passion for people - will always look forward to your return to De Witt’e Guest House. 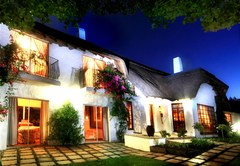 Response timeDe Witt'e Guest House typically responds to requests in 5-10 minutes.